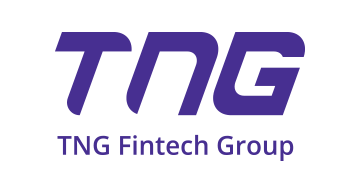 Headquartered in Hong Kong, TNG FinTech Group is an industry pioneer providing the next generation financial services to the 1.2 billion unbanked population in Asia through its various e-wallet platforms. The efficient financial services it provides include electronic payments, global remittance, global cash withdrawal and settlement, wealth management services and more. Its “Global E-Money Alliance” currently covers Hong Kong and 12 of the Belt and Road countries, including China, The Philippines, Indonesia, Singapore, Malaysia, Thailand, Vietnam, India, Sri Lanka, Bangladesh, Nepal and Pakistan, which provides 24x7 cash-in and cash-out services to its users through a network of 852 banks and over 183,000 cash pick-up points globally. For more information, please visit www.tngfintech.com.